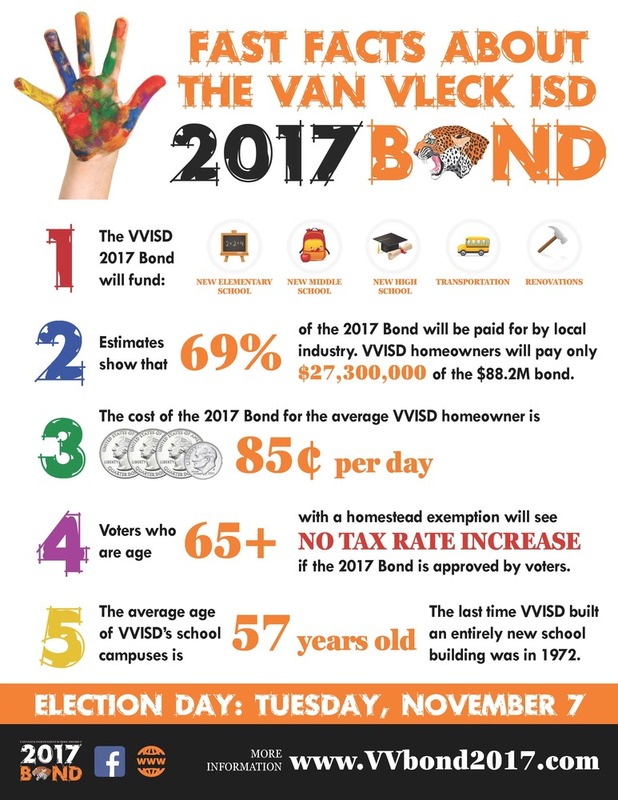 Van Vleck ISD held their last FACTUAL Town Hall Meeting on Monday, Oct. 23rd at Van Vleck Elementary. In an effort to keep our VVISD patrons informed with FACTUAL information we recorded this meeting for all to see and hear. With so much misleading information out there, we want our voters to be informed so they can make an educated decision at the polls. The two links below are the town hall meeting video and 2017 School Bond Resource website. If you have any questions or concerns about the upcoming Bond Election, please feel free to stop by or contact any of our school administrators.